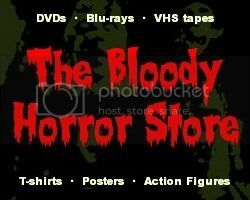 Dr Blood's Video Vault: How many "Extreme Horror" movies have you seen? How many "Extreme Horror" movies have you seen? I found this video on YouTube earlier and, although I've seen about 80% of the movies listed, there's no way that I've seen them all. There are some movies on there which simply don't interest me, not because they are gory (because I love that) but due to being poorly filmed, amateur, handycam dreck which I don't have the patience for. I'm also not overly keen on Japanese extreme horror movies either because they are just a bit too silly for my own taste but I'm sure somebody likes them or they wouldn't exist in the first place. 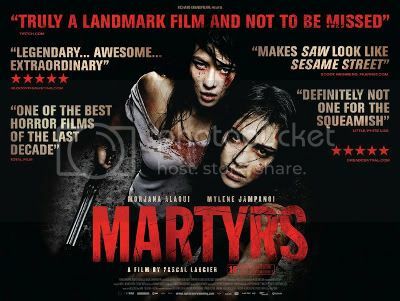 Until "A Serbian Film" came along, the nastiest thing I'd seen was "Martyrs" and I still think it's the best of all of them. Anyway, how many of these extreme horror movies have you seen? Which ones are your favourites? Let me know in the comments below.